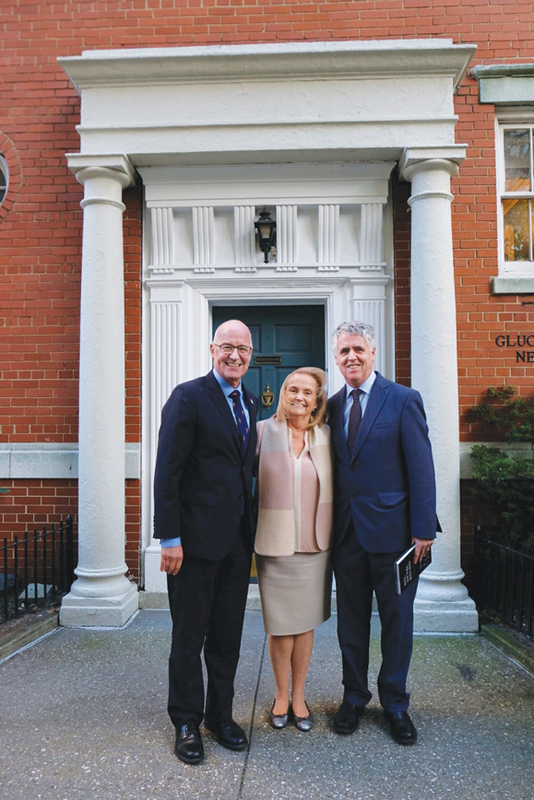 New York University’s Glucksman Ireland House opened a quarter-century ago, and since then has led and witnessed tremendous changes in both nations’ cultures. Being New York, Being Irish gathers many of Ireland and Irish America’s finest writers and critical thinkers to consider and celebrate its 25th anniversary. This beautifully illustrated hardback is a wonderful recognition of this vibrant institution’s work, and of its benefactors: Lew and Loretta Glucksman. Being Irish, Being New York is a vital and fitting tribute that will engage, entertain and provoke. Is mór an chabhair atá Lew agus LorettaGlucksman ag tabhairt don Ghaeilge. Murach iadsan, bheadh teanga náisiünta ag lagü in ionad ag neartü. On Veterans Day – Nov. 12 – , I addressed the veterans in the dining room of nursing home at Oneonta, N.Y., where 17 former military men and 6 staff members were present. In my ‘speech’ I mention 2 Irish immigrants who served in Korea with the U.S. Army. They were Maurice Angland who was K.I.A., and Denis Forde, who returned safely with sergeant’s stripes on his sleeves and a BRONZE STAR on his chest.